Creative Counseling is a team of experienced therapists who joined in response to provide therapy to children and families through a contract with the Department of Human Service in Washtenaw and several surrounding counties. People receiving therapy through this program have open cases with Child Protective Services, Foster Care and or Delinquency. We provide in-office and outreach services including individual and familiy therapy with expertise in parenting, abuse and neglect, family dysfunction, domestic violence, adolescent issues, substance abuse, delinquency, and recovery from sexual abuse for children, adolescents and adults. 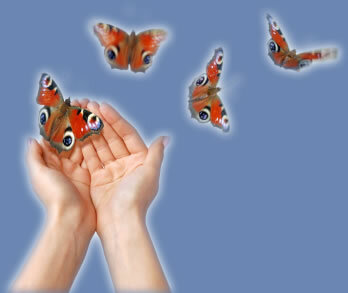 The team possesses specialized skill in working with difficult sexual abuse issues . Srong Start Rites of Passage Programs for Youth, Inc.
Strong Start provides programs, groups and workshops for children, teens and young adults to explore developmental transitions, heal from past wounds, discover their unique gifts, and how to manifest their talents to empower themselves and their communities. Strong Start activities are rooted in rites of passage theory and models that recognize the power of ceremonializing and celebrating youth’s natural transitions toward improved self-esteem and awareness, connections to mentors, and community activism. All programs use creative and experiential approaches to learning including, art, story, drama, challenge activities, ritual, etc. Strong Start for Girls provides social and educational groups for girls and their mothers that celebrate the feminine aspects of self and community. Through our connection to each other and nature, the group builds self-confidence, personal power and protection skills, and love for one’s body, emotions, mind and spirit. The group uses art, music, movement, games, myth and story telling, discussion, inspirational activities, activism, outdoor adventure and ceremonial ritual to enhance girl’s self-esteem and to promote the bonds of sisterhood among them, and with their mothers. The myths of Psyche and Persephone, both adolescent girls, present compelling stories and metaphors for the tasks of becoming a woman in modern society that teaches girls self-sacrifice and victimization. Youth explore their growth through a series of creative workshops involving the telling of the myths, their modern-day applications, the involvement of female mentors, the use of art projects, drama, active games and rituals, journals and video. These workshops can be adapted to involve mothers and mother figures. The myth of Theseus the Maze and the Monitor provides an exciting adventure reflecting the tasks that boys must master in order to become loving men in a modern society that teaches them detachment and violence. Youth explore their growth through a series of workshops including the telling of the myth and it’s present-day applications, the involvement of male mentors, art, active games and rituals, writing, video, etc. These workshops can be adapted to involve fathers and father figures. Note: Although these workshops are gender-specific in nature and appear to embrace a gender binary, they focus on the balance of gender roles and typing within the individual and in society. Laura Sanders welcomes transgender and youth who are questioning gender identity into any and all workshops and adapts group experiences to the composition of the group. This series of artistic workshops is designed to enhance the healing process for adult survivors of sexual abuse who are presently in individual or group therapy. Participants explore the use of artistic expression as a resource to release strong emotions associated with trauma, and to tap their sources of strength and personal power. These workshops are completely experiential in nature. Participants create art pieces using paint, found objects, clay, wood and other materials. Processing the art is facilitated through visualization, ceremony, psycho education, metaphor and discussion. Participants are encouraged to process the workshop experience further in individual or group therapy. The five workshops build upon one another to illustrate the phases of the healing process. The series is presented as a whole opportunity to understand and experience recovery, from the state of being wounded to that of empowerment. Every trauma survivor is an artist. No previous art experience is required. As an activist advocating for justice and social change in the areas of womens equality, the rights of children, TLBG (Transgender, Lesbian, Bisexual and Gay) concerns, and institutional racism, Laura Sanders has recently co-founded the Washtenaw Interfaith Coalition for Immigrant Rights, a highly diverse organization of people of faith and/or moral conscience and justice, who have come together in urgent response to the human rights abuses of the local immigrant population by federal ICE (immigration and Customs Enforcement) agents. The coalition is purely voluntary and responds to the immediate needs of the people affected by home intrusions, raids, detainments, and deportations, provides community education and supports local to global political efforts toward immigration reform.